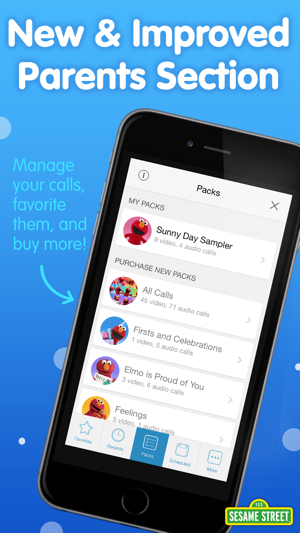 Get both Elmo Calls and Cookie Calls for one low price! 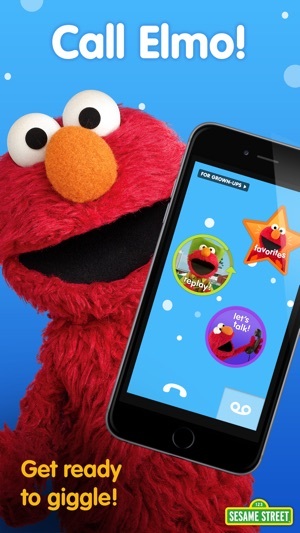 Pick up the phone, Elmo and Cookie are calling! 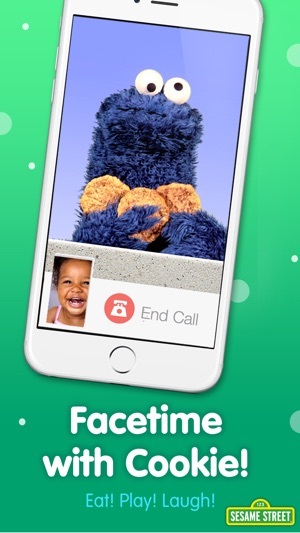 Receive video calls, audio calls, and voice mail from Sesame Street’s own furry, red monster or his blue cookie-loving pal. Even give them a call yourself! 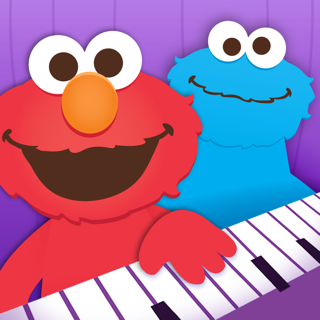 With Elmo Calls and Cookie Calls you can laugh, play, and sing with your two favorite monsters! 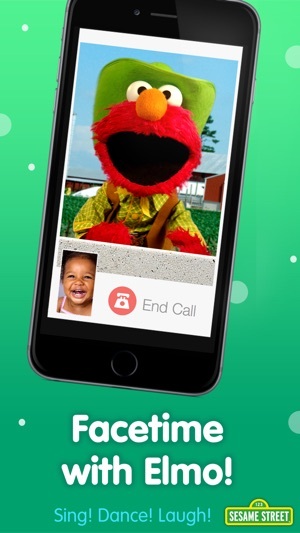 • Receive audio and video calls from Elmo or Cookie, or dial them yourself. 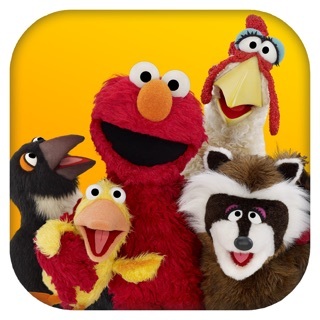 • Receive voicemail from Elmo or Cookie regularly and listen to the messages any time. 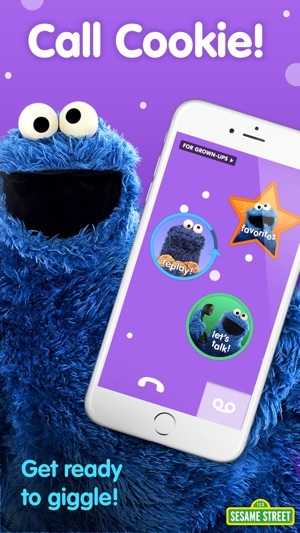 • See live video of yourself in the corner of the screen while you’re chatting with your favorite monster. 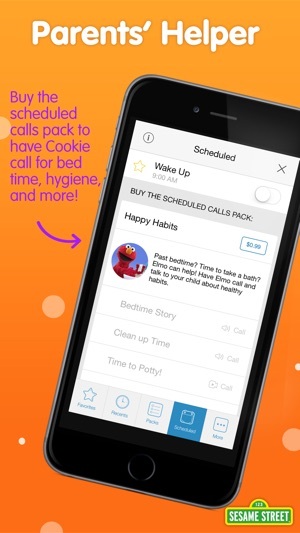 • Grown-ups can activate calls or schedule calls for a variety of situations, such as wake up time or potty time! 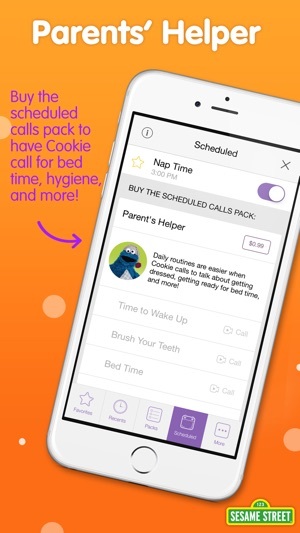 The Cookie Calls sampler pack comes with your purchase of this app. This initial pack gives a taste of all the fun things Cookie wants to tell you about, like healthy eating, math and more. 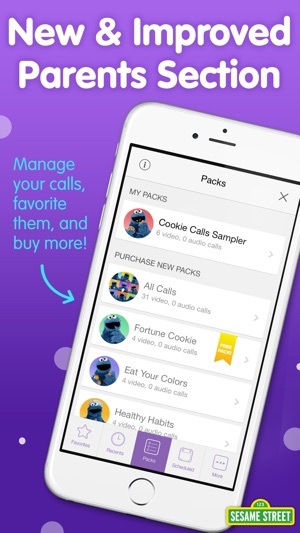 For even more calls, download the "Fortune Cookie" call pack for FREE, plus you can buy additional calls packs easily right within the app. 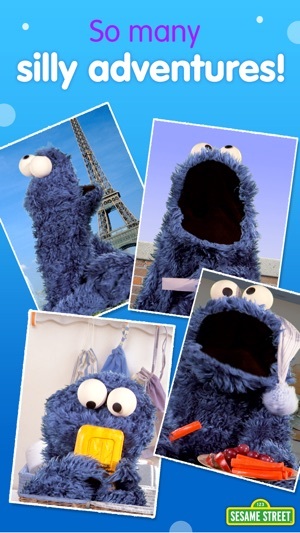 • Healthy Eating: Cookie Monster calls to talk about, and eat, some of his favorite healthy foods like apples, avocados, and cauliflower! • Parent's Helper: Daily routines are easier when Cookie Monster calls to talk about getting dressed, getting ready for bed time, and more! 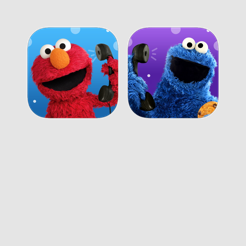 • You need to allow Push Notifications to receive scheduled calls from Elmo and Cookie Monster and the Mute switch needs to be in the OFF position to hear Cookie or Elmo's special notification audio! I bought this as a bundle with Elmo calls. 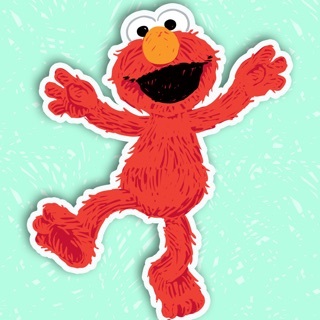 Elmo works fine but Cookie does not load/work. Fix this please!!! app won't open. I bought it with Elmo/Cookie bundle. 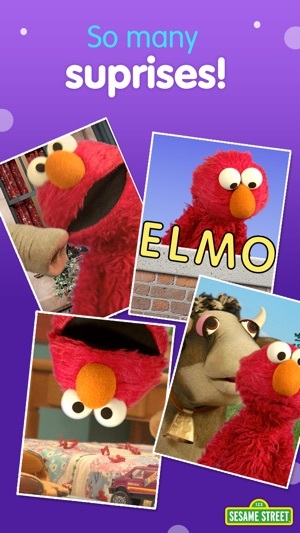 Elmo app is fine. Pretty lame. Save your money. © 2016 Sesame Workshop. All Rights Reserved, © 2016 IDEO, LP. All Rights Reserved.